Opioids are widely used to treat acute and chronic pain as well as respiratory distress. There is great variability in opioid-induced side effects due to individual biological factors, patient co-morbidities and drug interactions. Normal respiratory rhythm generation is decreased primarily via inhibititory effects within the pre-Bötzinger complex. Central chemosensitivity to hypercapnia and hypoxia are blunted by opioids at the levels of the retrotrapezoid nucleus, medullary raphe nucles and nucleus tractus solitarius. Opioids also decrease central drive to both respiratory pump muscles and the upper airway dilator muscles. Opioid-induced respiratory depression can be reversed by naloxone, and recent data suggest that 5-HT4(a) agonists and ampakines are effective to reverse some of the opioid-induced respiratory depressant effects. 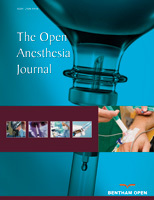 The potentially fatal side effects of respiratory depression within the acute peri-operative setting necessitates effective monitoring of respiratory function in all patients receiving opioid therapy. Each institution needs to develop an optimal organization structure locally to define appropriate methods for avoiding medication errors, titrating opioids to target effect, and monitoring for respiratory side effects.